We welcome you to contact us or stop in and check out the yachts, vessels and other Boats for Sale Morehead City NC that we have. 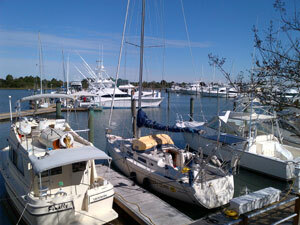 We are one of the reputable Boat Dealers in Morehead City NC and we have quite a selection. Our Yacht Brokerage office is also a great place to search for premier yachts and large vessels with amazing amenities and power. We would love the opportunity to meet with you. Contact us to set up an appointment to talk. Our Boat Dealers in Morehead City NC would love to talk with you about your wishes. Searching for specific sizes? We have all an extensive collection of boats for sale and yachts for sale. You can find everything from a small 24 foot vessel to 46 foot boats. Boat Dealers in Morehead City NC at Morehead City Yacht Basin feature Bayliner Boats for Sale Used, Sea Ray Boats Used, Sea Hunter, Catalina boats, Carolina Classic, Ericsons as well as plenty other brands and a unique variety of years and models. You do not have to be an avid boater, we can help you decide what type of boat suits your needs. We offer fair, low prices on all different kinds of models. We would be happy to discuss a budget, options and potential models with you. Our dockmasters, technicians, staff and boat dealers in Morehead City NC are all passionate about boating; we would love to assist you.